With Over 30 years in business Sissell Plumbing is a leader in Tracy plumbing services. Regardless of whether the job is big or small, simple or complex, commercial or residential, we'll approach it with the same professionalism and care. Our mix of outstanding customer service and detailed plumbing knowledge is why so many people choose us. Since 1970, Sissell Plumbing has been providing complete plumbing service and repair to Stockton, Menteca, and Tracy. Family owned and operated, customer satisfaction is our priority; with over 40 years of experience, you can trust that you are in good hands. We serve both residential and commercial, remaining fairly priced and with emergency services available. We offer many services from water heater repair, cleaning, and replacement, to repiping, leak detection, and drain and sewer cleaning. Sissell Plumbing is fully licensed and insured for your safety. Plumbing Specialists - Rather than being a one-stop shop for everything, we've chosen to focus on what we know best - plumbing. From general maintenance to repairs and completely new installations, our team will work intelligently to come up with the optimal solution and then execute it perfectly. If you've dealt with other Tracy plumbing contractors that think about their bottom line rather than fixing your issue, maybe it's time to give us a call. A Friendly Face - We want your plumbing system to work perfectly, almost as much as you do. From the moment you call us for the first time to when we leave after the job is completed, we'll always take the time to explain what we're doing, how it benefits you, and what you can do to keep your plumbing system functioning as well as possible. 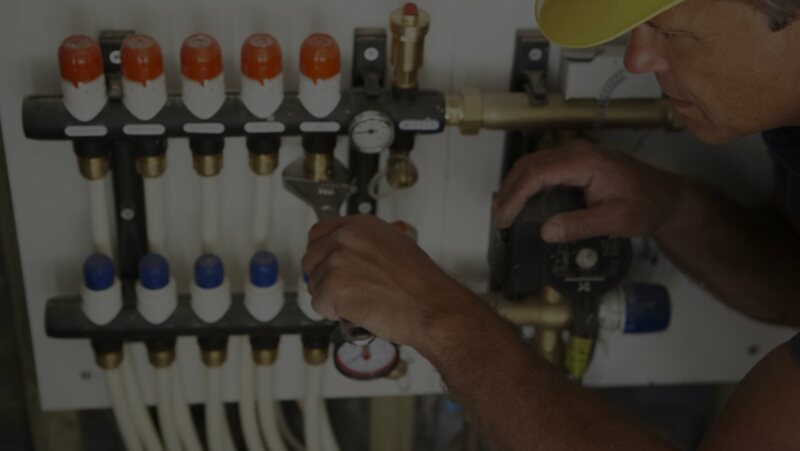 Industry Leaders - Plumbing technology changes at a rapid pace, but our team manages to stay ahead of the crowd by always integrating new advances in plumbing with tried and true methods. By doing the job the right way instead of slapping on the quickest patch, we are able to show our knowledge and earn trust every step of the way. Superior Service - Above everything else, we value the customer experience at Sissell Plumbing. This means that every interaction with us will be polite, professional, and courteous. With our expert assistance, you'll see why we've been a top Tracy plumbing firm for years. As true plumbing professionals, we have the know-how and the experience to solve your problem as quickly and effectively as possible. Our plumbers will use their ability to treat your issue like it's their own. When we get a call, our team springs into action and mobilizes quickly to anywhere in the Tracy area. Plumbing problems can be serious business, and we know that every minute counts when it comes to minimizing your expenses. We'll never start working without first giving you a clear and accurate price for the job at hand. There are no hidden fees or upsells, and you can be sure that our costs will be competitive for every job we do. While our expertise solves problems, it's our customer service that keeps us in business. Dealing with clients in a professional manner and understanding their personalized plumbing needs is our stock in trade. When we leave your home, you'll be happy with our service - we guarantee it. From A to Z, we can handle any plumbing-related problem at a fair price. Getting rid of nasty clogs may be a dirty job, but it's our pleasure to get your plumbing in working order. Whether it's a simple repair or a full installation, your water heater or boiler will be good as new. Your sewage system is a key component of your home's plumbing and we are able to solve even the most complicated sewer issues.